Audi is back at CES for the second year in a row, complete with a retina-searing, biggie-sized booth, its next-gen Audi Command interface and a prototype heads-up display that combines three displays with gesture controls. The setup uses one HUD in front of the driver, another in front of the passenger and yet another display in the middle that’s viewable by both people in the front seats. While that’s not particularly revolutionary, the transfer of information from one display to the next is. If the passenger looks up a restaurant using their own display, she can swipe it over to the center HUD, providing the driver with navigation instructions. The display tech is still a few years away from production, but don’t expect the gesture controls to come along for the ride. 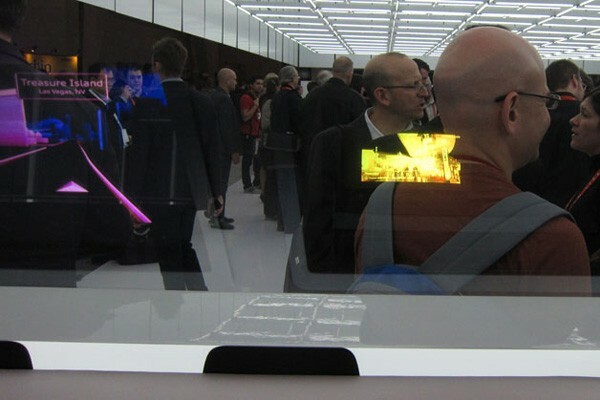 Audi combines HUD with gesture controls, leaves us wanting originally appeared on Engadget on Sun, 15 Jan 2012 16:09:00 EDT. Please see our terms for use of feeds. Not every podcast ends in the boss’s Air getting champagne sprayed on it, but we thought you all deserved it for sticking with us through all six days of CES podcasts this here in 2012. Thanks for joining us–we’ll be back next year for more of the same Festivus-style atmosphere, and back next week for more regularly-scheduled podcasty goodness! [iTunes] Subscribe to the Podcast directly in iTunes (enhanced AAC). [RSS MP3] Add the Engadget Podcast feed (in MP3) to your RSS aggregator and have the show delivered automatically. [RSS AAC] Add the Engadget Podcast feed (in enhanced AAC) to your RSS aggregator. Send your questions to @tim_stevens. 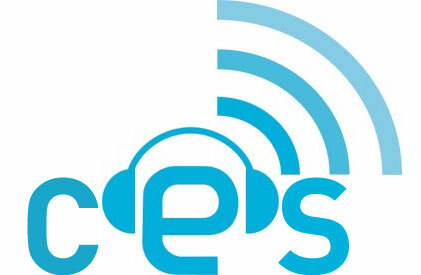 Engadget Podcast 276: CES Finale – 01.14.2012 originally appeared on Engadget on Sun, 15 Jan 2012 15:15:00 EDT. Please see our terms for use of feeds. As we continued to explore deeper and deeper into the underbelly of CES, something sparkled in the corner of our jaded eyes as we flitted between rows and rows of anonymous stalls. Already festooned with engineering awards, this animated laser display works by beaming a laser generated image onto glass planes containing a film of nanoparticles. Although a blue projector was on show here, it’s also being developed in red, white and even dual blue and red. The projector itself requires only a short distance to project across the full width of the screen — the demo kit you see here was under three feet from the image, which was pin sharp. They’re not really about the implementation here, more the hardware, which accepts VGA input through either the USB connection or the built-in XD card reader. Regardless, the current demo reel includes some retail display animations and rotating logos — including a glimpse of the Zune logo — but the system can also be turned into an augmented reality driving aid. Marvel at it yourself by checking out our eyes-on right after the break. Zach Honig contributed to this post. 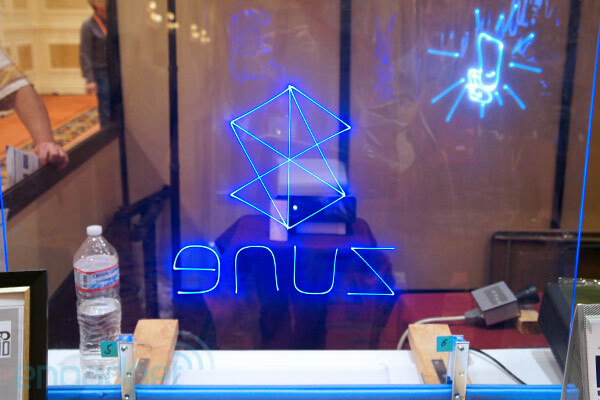 Sun Innovations show off Transplay Animated Laser Display, projects blueish vision of the future (video) originally appeared on Engadget on Sun, 15 Jan 2012 13:05:00 EDT. Please see our terms for use of feeds. This entry was posted on January 15, 2012, 5:56 pm and is filed under Mobility. You can follow any responses to this entry through RSS 2.0. Both comments and pings are currently closed.